Fast Food Lunches - Is there a Healthy Diet Habit here? Fast food lunches can be deadly, an entire day’s calories, but with proper planning can work in a pinch! 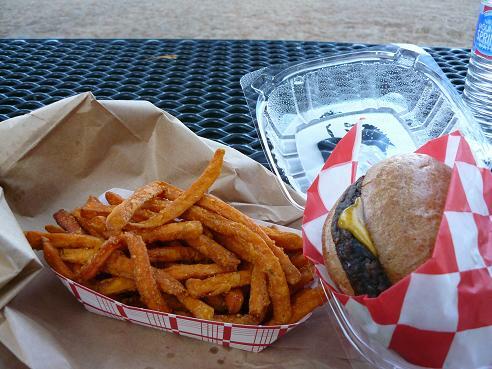 If you walk into your local fast food restaurant, chances are you will overeat. You will order the American favorite of a massive burger, massive fries and massive coke. That was actually my son’s first phrase, hama, fries, n coke. We learn early! Fast food establishments have increased their portion sizes at an alarming rate over the years. The "super size movement" is alive and well in the fast food world. Bigger portions mean more money for them. Grab that lunch calorie figure from your meal planning chart and use it! Download a calorie counter app. for your smart phone. Choose your meal before you enter the door. Takes a minute or two with your app. Plan your entree choice, with a side salad or other veggie side, to practice the half plate rule. Delete calorie laden condiments and cheese, look for chilies, vegetarian naked burritos, salads with low calorie dressings, any healthy looking options. Beware of overeating processed carbohydrates at fast food. Be aware that healthy, does not always mean low calorie. Use your app. Milkshakes and drinks are deadly, and many are more than half of your daily calories! Each fast food restaurant has a few items that are healthy and diet friendly. Learn your healthy choices for the fast food places that you frequent. Best choices at Burger places are the hamburgers or junior burgers with no cheese, mayo or special sauce, salads with low fat dressing minus the non-veggie crunchies, grilled chicken sandwiches without mayo or sauce, Taco Bell’s fresco menu, Wendy’s chili with a side salad, or any of the Subway low-fat sandwiches (less than 6 gm of fat), with veggies and no mayo or oil. Choose a kids meal without mayo. It is a nice size meal for an adult! The operative word is to know the calories. You might think that Subway’s tuna sandwich is a great choice, but it is loaded with mayo and one of their most caloric sandwiches. You can eat a 12” roast beef sandwich for only a few more calories, than a 6” tuna sandwich! Eat your tuna sandwich at home! Many people are clueless as to their weight gain. If you consistently eat at fast food, and do not actively work to eat their more healthy items, you will gain weight. Check out the movie "Supersize Me" for a scare! 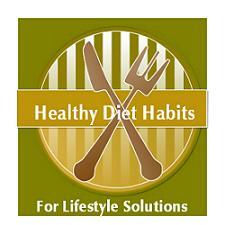 Develop the healthy diet habit of limiting fast food in your diet. Bring healthy brown bag lunches from home, and when you are in a pinch, use the Lifestyle Solutions listed above to outsmart those supersize portion distorted meals!